Welcome to the CAMRT Best Practice Guidelines website! Best practice is the means for providing the best possible outcome for patients based on judgments that consider patient needs, clinical experience, and the best available evidence. Best practice can be found at the intersection of three realms: best available clinical evidence, clinical expertise and experience, and patient values and expectations. Those striving for best practice consider and integrate all three elements into the decisions they make and the actions they take. Best practice is situational. The descriptions of best practice provided within these pages must be considered within the context of facility policy, provincial legislation and regulation, and other local factors before they are applied. Furthermore, best practice is continually evolving. In a rapidly changing field like healthcare, new developments and discoveries come up every day that influence the way practices are applied. MRTs are encouraged to always seek out the most up-to-date information on their topic of interest, because newer information might impact the decision-making process. “Clinical practice guidelines are systematically developed statements to assist practitioner and patient decisions about appropriate health care for specific clinical circumstances”. Within this definition, CAMRT has used three important themes to guide the development and review of all the best practice guideline documentation: Recommendation, Rigour and Resource. The guidelines are a set of recommendations that describe, rather than prescribe, a high standard of MRT professional behaviour. The description is presented first through a broad recommendation, followed by key rationale and discussion on how an MRT might reach the described goals. Recommendations do not constitute a mandatory standard of practice, and attempt to use a language and tone that clearly differentiates from regulation throughout. To be effective, guidelines must be developed through a rigorous process. The development committee strove to gather and consider the best available evidence for the topics under consideration. The rigour was extended by ensuring a full cross-section of representation on all committees and review panels, and by a multi-layered process for development and review that incorporated the collective expertise of many outside reviewers. This resource provides trustworthy information based on evidence that has been specifically researched and written with MRTs in mind. The guidelines were developed to help augment MRT judgment and decision making in their day-to-day practice. The development of the guidelines was also driven by the goal of creating a resource that would be appreciated and used by MRTs of all levels of experience and expertise from every location across Canada. This process started with the selection of topics that would be relevant to the MRT profession. It informed all the decisions made about the documents: the number of topics, the level of detail, the format, the links to include, etc. It culminated in the development of this interactive website. As development continues, the CAMRT hopes to enhance this website as a resource for Canadian MRTs by creating mechanisms for gathering and responding to feedback. The CAMRT BPGs are not intended to be a “how to” guide, but rather to provide MRTs with a tool and additional resources to help guide best practice and enhance decision-making. The following descriptions will help guide the user to navigate the terminology used on the CAMRT BPG website. Headings, Topics, & Guidelines: Displayed across the top of the website pages, headings help bring together topics of associated content. Under each topic are their respective guidelines. To explore the full list of guidelines, visit our Index. Category: Guidelines are categorized as either “core” or “discipline specific”. 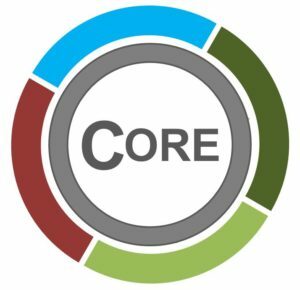 Guidelines that were developed to apply to all disciplines in medical radiation technology are considered “core” to the profession. Guidelines that are “discipline specific” are listed with the corresponding discipline designation and categorized by the specific discipline on the guideline page and in the index of topics. 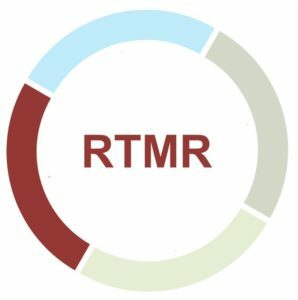 For example, MRI of pregnant patients falls under the specific discipline of “RTMR”. Guidelines are reviewed and updated on a sustainability schedule to provide current information and evidence as a resource to MRTs. The validation date confirms the most recent date the guideline was reviewed in its entirety. Links and references are updated on a regular basis and updates are not reflected in the validation date if they do not significantly change the content or information provided in the guideline. This interactive tool is continually improved thanks to feedback from users like you. If you find anything you particularly like or have trouble with, please communicate this to us via email at bpg@camrt.ca.